I am challenging myself to cut costs in my food budget and welcome you to join me in the challenge. I’m personally on a mission to read more labels and discern ingredients in things I choose to eat. And the one ingredient I choose not to eat any more is High Fructose Corn Syrup. Big food companies and corn producers continue to insist there’s no difference between High Fructose Corn Syrup and sugar. My challenge to you is to do your own research into this product, read labels and I’m sure you will be as shocked as I am, and have been, to see what all they pump this product into. Have a look at lunch meat, frozen meats (hamburgers, chicken, etc. ), crackers, almost any and all processed and packaged foods. What’s a consumer to do? What in the world will we eat? Most people seem to think it takes too much time to cook meals from scratch so one can know exactly what is used for ingredients. A great base for many meals is stock made from bones. Using the carcass of a chicken you’ve cooked, whether roasted, stewed or even the carcass of a deli-prepared chicken and adding some onions, carrots, celery and a few spices, you can cook up a nutritious broth unattended. You can also use beef or pork bones with the same results. This broth can be used as the liquid to make soup or cook pasta, rice, and potatoes both for flavour and nutrition. If you are interested in learning about the steps for making the most nutritious broth you can, contact me and I will give you step-by-step directions. Many meals can be made with only five ingredients and cook as quickly as the time it takes to drive through a drive-through. Peruse the grocery ads and find chicken on sale and stock up as much as you can. Another great way to save on meat is to purchase beef that is close to the expiration date and reduced as much as 50%. If you use this immediately or put it in the freezer, it will provide you meat for several dinners. You can make easy stir-fry with any of these meats by adding fresh or frozen vegetables, a little onion and your choice of liquids, whether you favour soy sauce, stir-fry sauce or even water. Keep your salads healthier by avoiding prepared salad dressings and making your own. A very tasty and cheap salad dressing is mixing two parts extra virgin olive oil and one part apple cider vinegar. You can add Dijon or honey mustard, spices of your choice or a splash of honey to sweeten to your liking. I project that I can reduce my grocery costs by 25-35% by not buying products with High Fructose Corn Syrup in them. I also know that I will come out healthier in the end by eating better. Have you started reading labels or are you reading them more closely? I’d love to hear from you with your thoughts. I am hoping to hit an even $200 this month for my family of 5 ( 6 really as we feed the dog homestyle cooking so is like cooking for a 6th person) I really don’t think I can cut my groceries down even further although I am always trying without sacrificing health, it seems you can not do both as far as couponing and healthy eating…….you need to choose one or the other! But Yes I try to read labels and watch what we put in our bodies, as I try to go a whole-foods approach with a little raw foods, vegan and vegetarian meals mixed in. High Fructose corn syrup is a bad one along with carmel coloring! But then again so is anything refined or proceed like white flour. Did you know one tablespoon of sugar blocks your immune system from working properly? Our bodies where designed to be able to heal themselves but what we put into our bodies goes a long ways in stopping it from working properly. Good luck on your challenge! I am off to make homemade healthy granola cereals and muesli cereals now…………. I agree with you on both counts: a) that reading label is important because there are more and more ingredients that are not very good for us sneaking in; and b) that cooking from scratch is much, much cheaper and better for us. I can probably be an example for many readers: two years ago you couldn’t see catch me in the kitchen, today I cook everything including bake bread. OK, I do have a bread making machine but still I make some great bread even if it mixes it. As an experiment I counted the ingredients in wholemeal bread in Marks and Spenser’s (high quality) – a loaf had 13-14 ingredients in it. Sorry but there are only five things that should be in bread! So we have not bought bread fro two years – we make our own. To me, trying to avoid high fructose corn syrup would be like trying to avoid buying anything that is made in China. Seems like a lost cause and near impossibility. 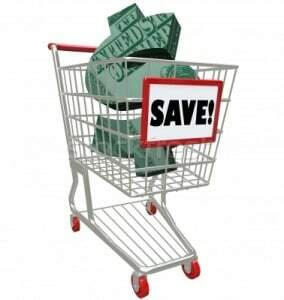 The #1 thing we do to save on groceries is to shop at Save-A-Lot most of the time. Not sure if they are nationwide, but they are similar to Aldi’s. You get used to their store brands after awhile.